"From every wound there is a scar, and every scar tells a story. A story that says, I survived....."
ehlsie Thank you so much for your concern. In times like this, the best companion to hadle this problemn is God. Thank you! and God Bless! ehlsie Actually at first, I lost my confidence that i can get through with this, but because of faith and prayers, i survived... Thanks for your comment and for your care... I really appreciate it. thank you so much! What beverage do you most often serve to your visitors or house guests? ehlsie I usually serve orange juice or soda drinks with biscuits or pasta.. In a party, are you a story teller or a listener? ehlsie Most of the time i'm the listener... I'm a shy type person, I like to listen more than to speak.... happy mylotters! Who here knows Bagoong Alamang? It is a favorite of mine and I miss it! ehlsie Yeah! me too! i love bagoong!! !Specially when it comes with mangoes (specially manggang hilaw at indian mango)!!!yumyum!!!! Do you ever hide your feelings? ehlsie I hide my felings specially when i'm mad to someone or sometimes when i hurt a lot by someone....Because i don't want anybody to see me, sad or have a problem...I always try to smile even i have problems...But inside I'm almost broken.. happy mylotters! ehlsie I use pilot ballpen since high school till college. But i also use parker ballpen. happy mylotters! What is the saddest thing that happen to you? It is so sad when me and my bestfriend part ways because of some arguments and its been four years that we are not seeing each other... How about you? What is your saddest experience? ehlsie Me, the saddest part is when my grandFATHER DIED..i'm my grand father's favorite...And i'm really close to him...And i really missed him so much! Do you agree that woman putting make up make them beautiful??? Can you text without looking at your phone? I am majoring in Chemistry how about you? Thank you for reading hope to hear from someone who is willing to share what they are studying for. 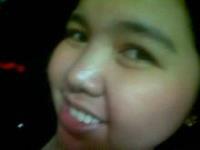 ehlsie i took up first BS.accountancy major in accounting...And my seconde course is major in nursing.. happy mylotters! what's the highest amount money you hold in your hands? ehlsie WOW!!!!! thanks for sharing! happy mylotters! ehlsie thank you so much for sharing! happy mylotters! ehlsie yeah! also here in our country that money is tooo much here!!! thank you for sharing! happy mylotters! ehlsie The highest money i had is around 50thousand pesos...it's for my tuition fee..that's why after i hae it in my hands i used to give it to our school as my payment... thanks for sharing! happy mylotters!